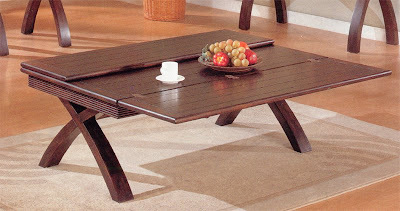 Make your surroundings impressive with this coffee table featuring great crafted details. The extensible top makes the model very functional! 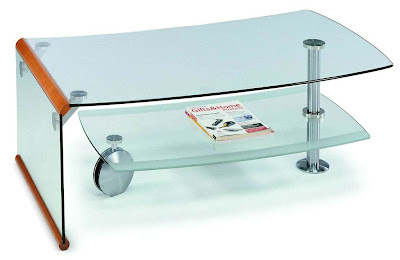 Occasional Tables. 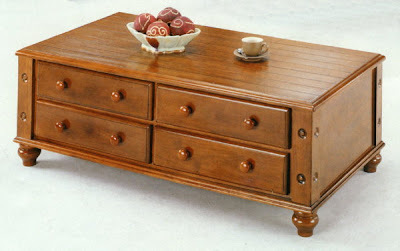 Coffee table in solid wood finish with circle model, rectangular parquet shape top, four storage drawer each one with double button handle for easy handling and four great carved and crafted legs. 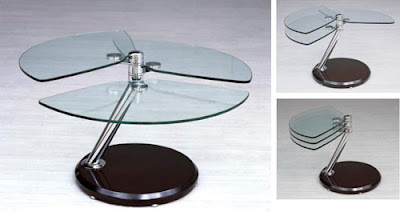 The coffee table features rectangular shape glass top and beveled glass shelf on a wheel. 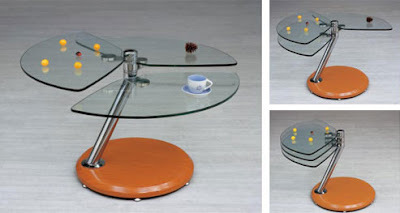 The designer moved away from the usual concept to create a furniture that is pleasant. Features stylish look. 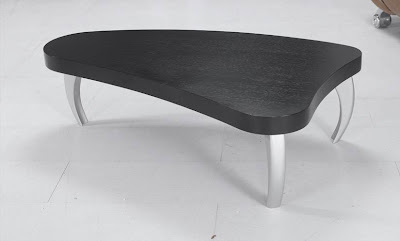 Elegant coffee table.Metal finish curved inside legs. No corner table. Black table top. Suitable for any ambience!